We’ve crafted up the perfect cocktail & grilled cheese duo just in time for National Grilled Cheese Sandwich Day! 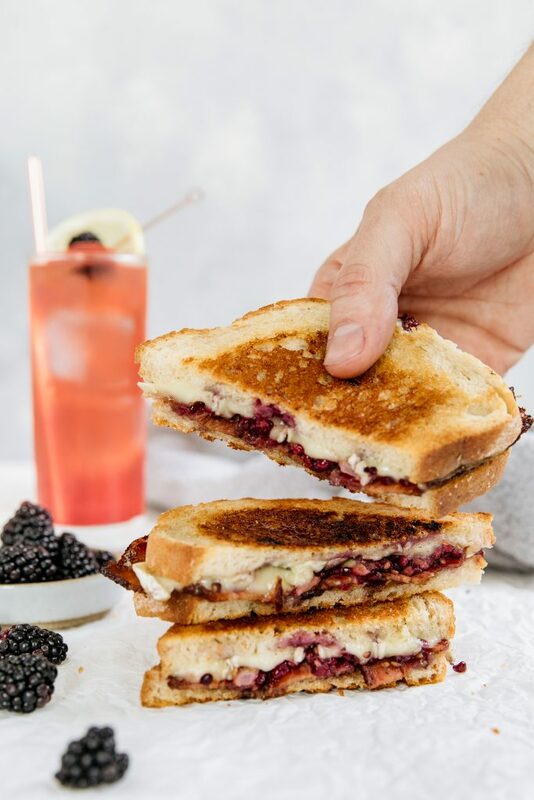 Our Blackberry Bacon Brie Grilled Cheese recipe is the perfect way to celebrate everyone’s favorite comfort food. 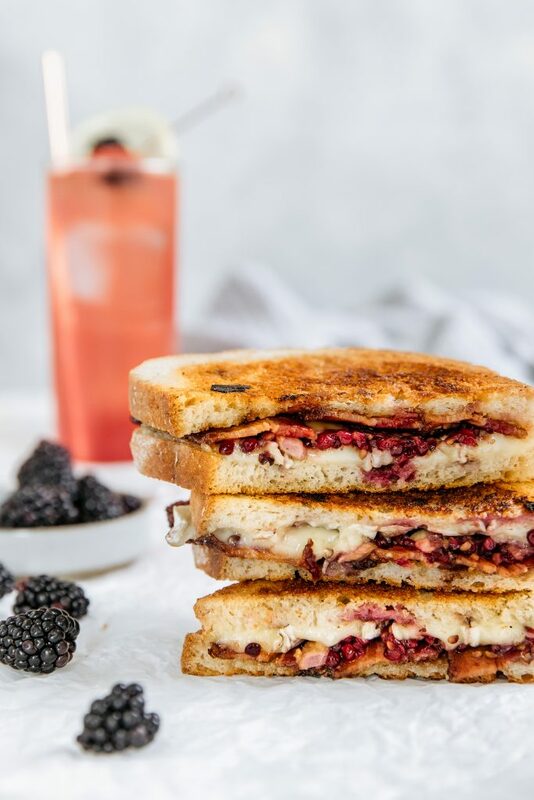 Enjoy this delicious grown-up grilled cheese with a Powell & Mahoney Blackberry Maple Buck! In a small bowl, mash all ingredients together until chunky. Preheat oven to 400F. Line a sheet pan with foil and place a cooling rack on top. Lay bacon on rack and brush both sides with maple syrup. Bake until crispy, about 15-20 minutes. Heat 12-inch skilled over medium heat. Layer 2 oz of brie and 2 slices of bacon on one slice of bread and spread jam on another slice. Season with salt & pepper. Close sandwich and butter the top with 1 tsp butter. Place butter side down into hot skillet and butter remaining side with 1 tsp butter. Cook, flipping once, until golden brown and cheese has melted, about 3 minutes per side. 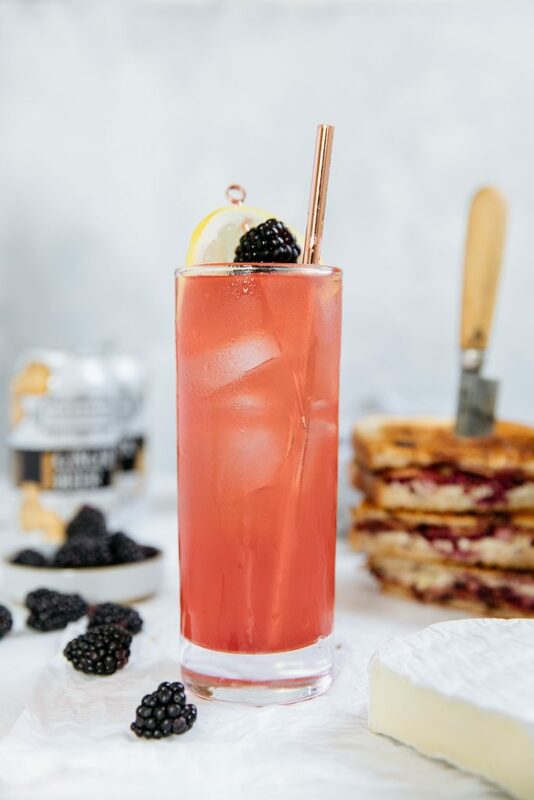 Behind every great grilled cheese is an even greater cocktail, of course! Whip up a delicious Powell & Mahoney Maple Blackberry Buck to complete the meal! In a shaker, muddle the blackberries and maple syrup. Add the bourbon (or vodka), P&M Lemon Sour mix and fill with ice. Shake and strain into a collins glass filled with fresh ice. Top with P&M Original Ginger Beer and garnish with a lemon wheel and blackberry. Tried this recipe? Share with us on Instagram, using #CraftYourCocktail! Previous ArticleNational Margarita Day: Four New Recipes to Try!